Exquisite Gift Boxes by Forest Essentials luxuriously crafted and assembled for your friends and family. 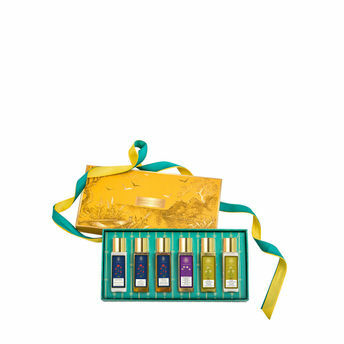 These lavishly packed skin and body care products are ideal for gifting purposes. This gift box in a deep amber yellow contains all your travel essentials and can instantly uplift spirits.